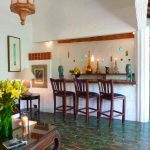 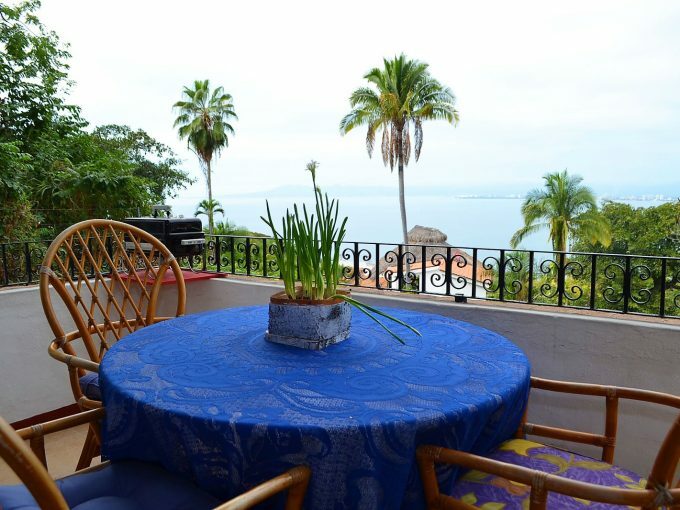 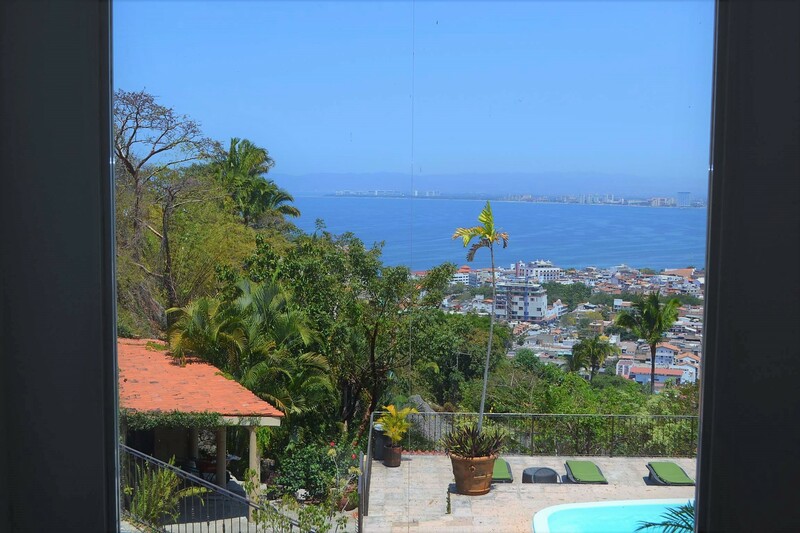 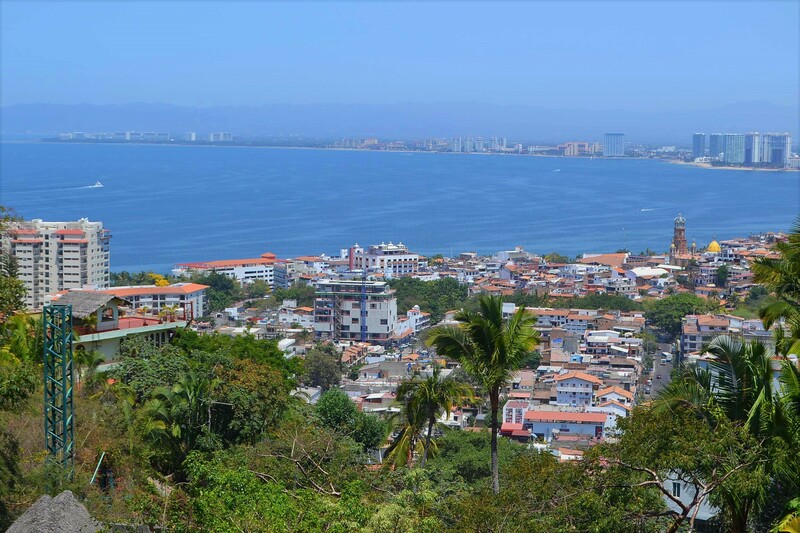 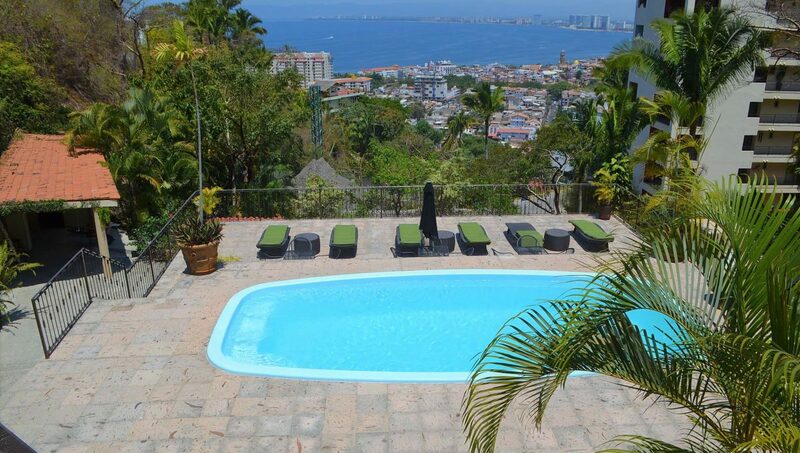 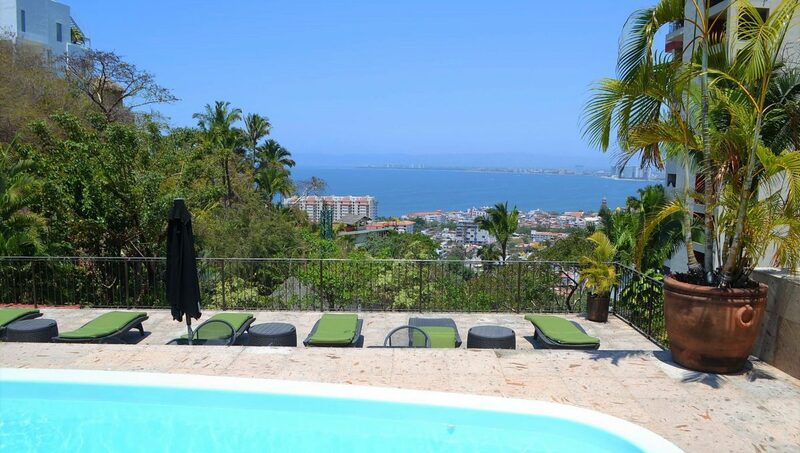 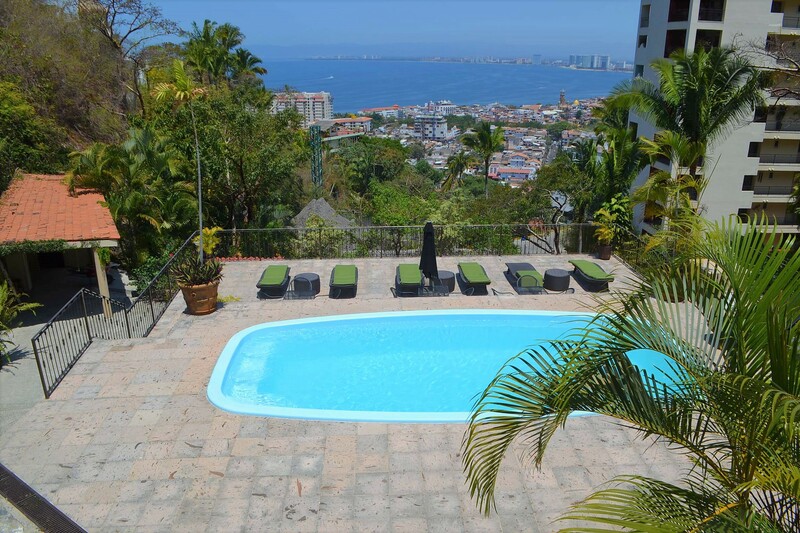 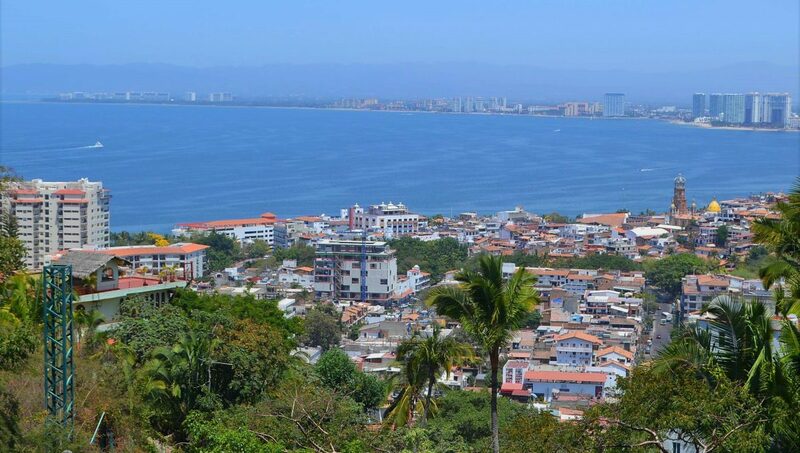 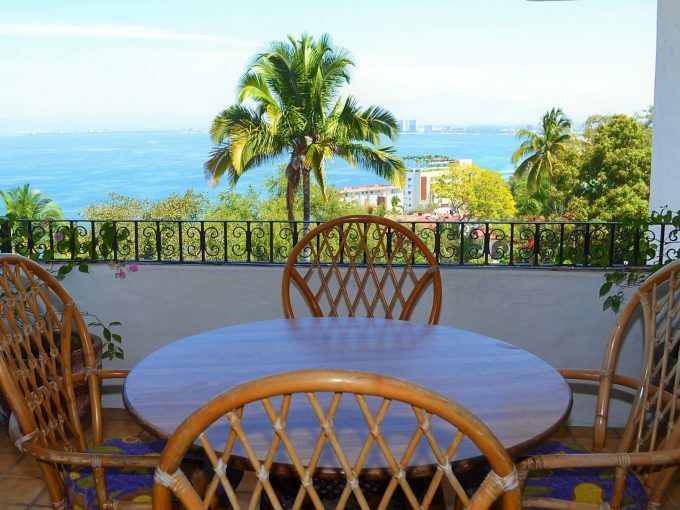 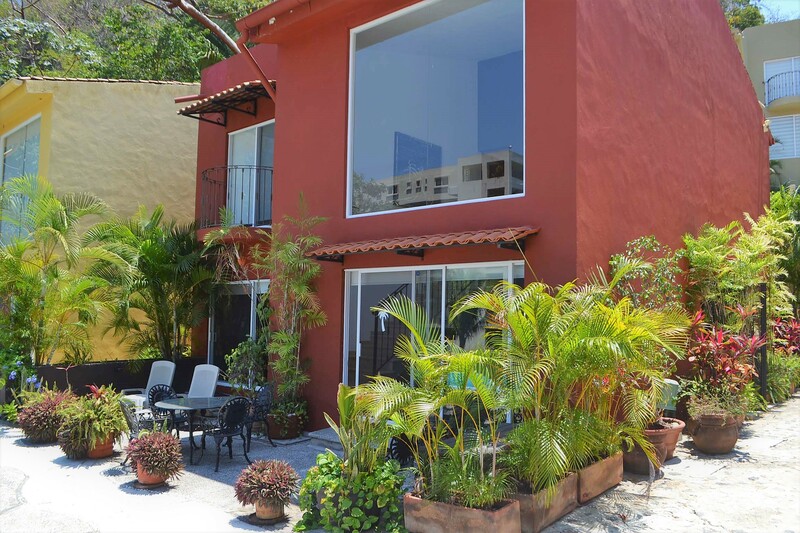 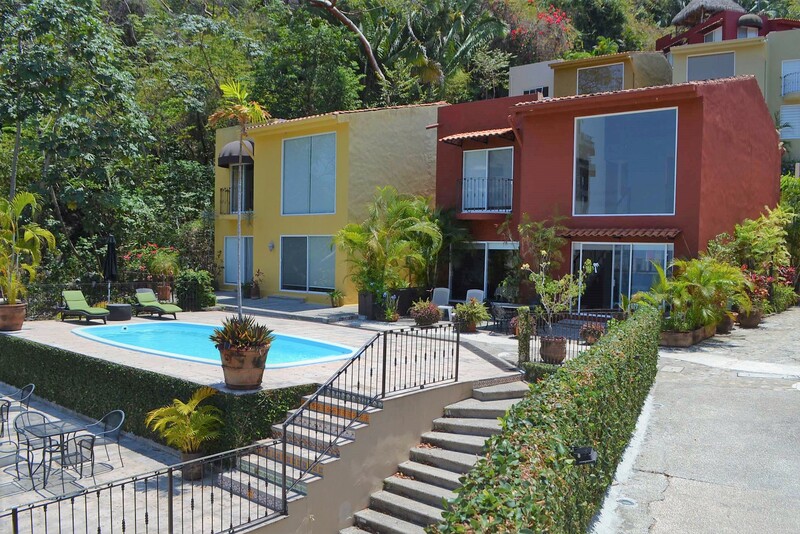 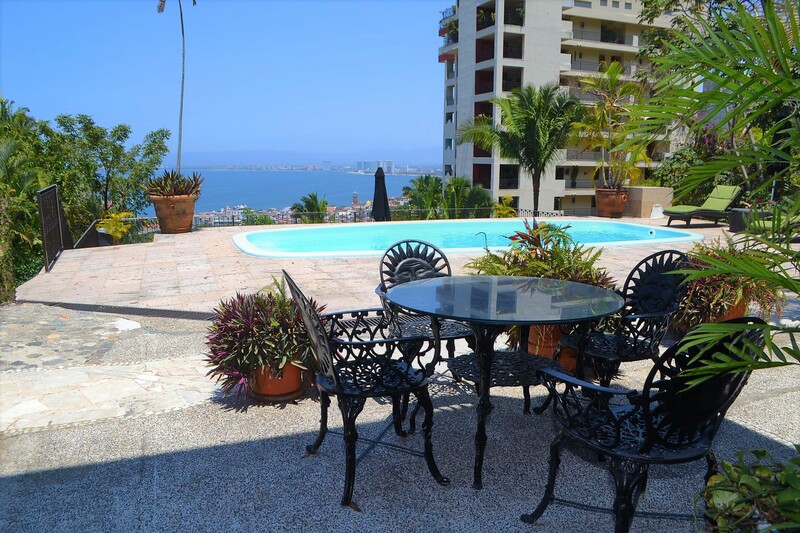 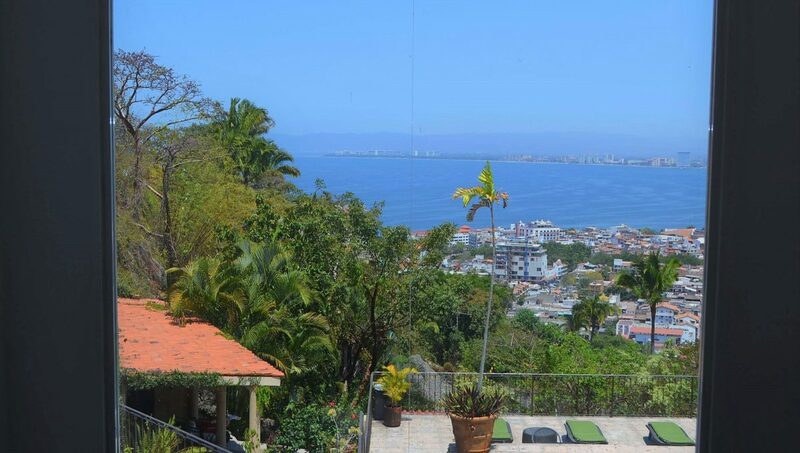 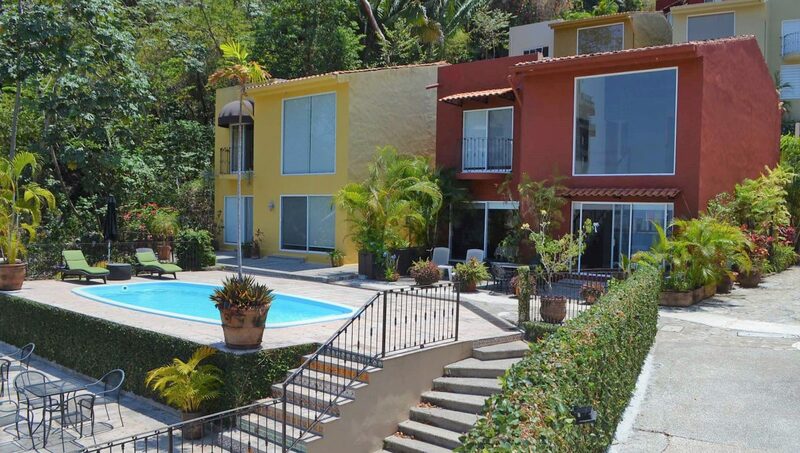 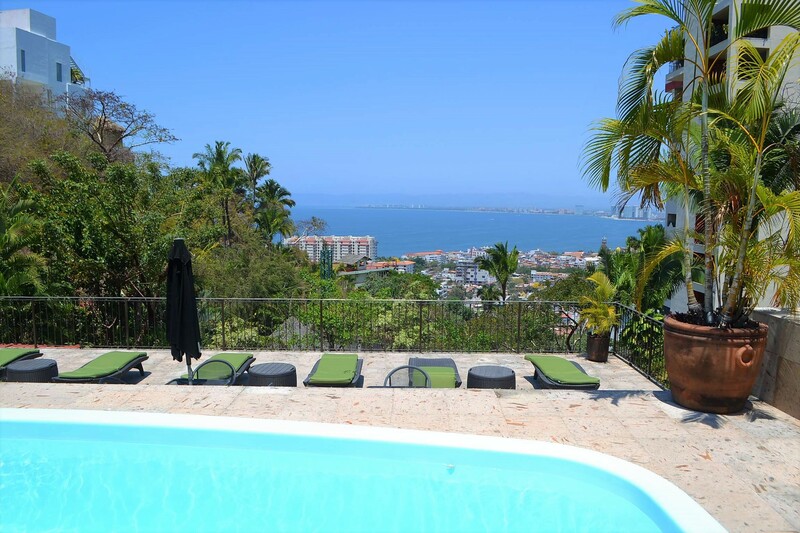 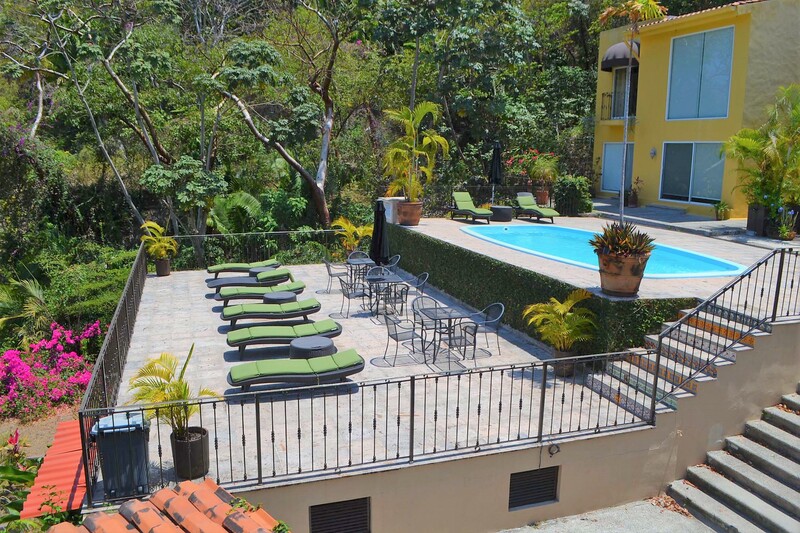 Adorable two level home located on top of the hill in the exclusive neighborhood of Amapas with awesome ocean and jungle views. 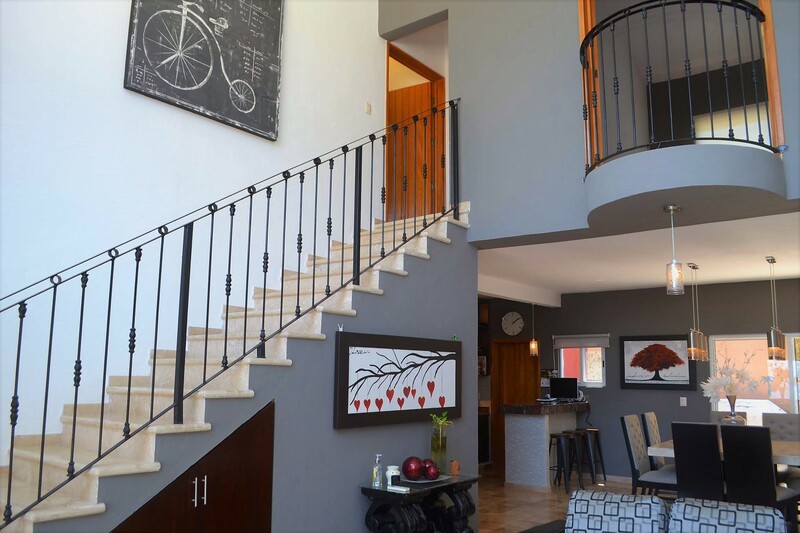 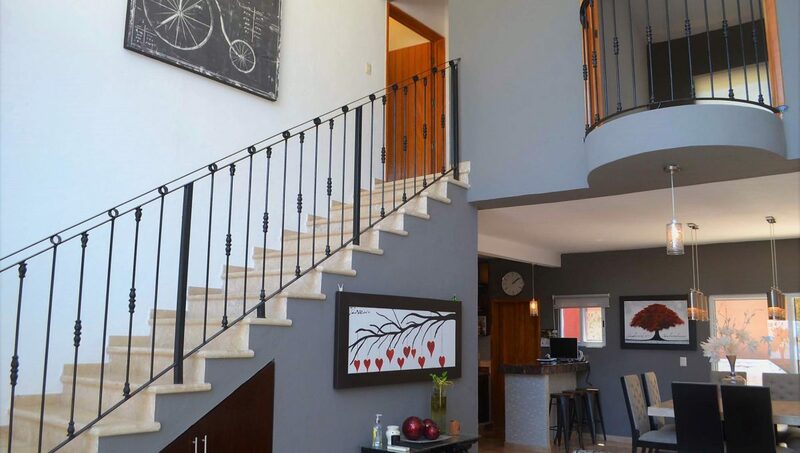 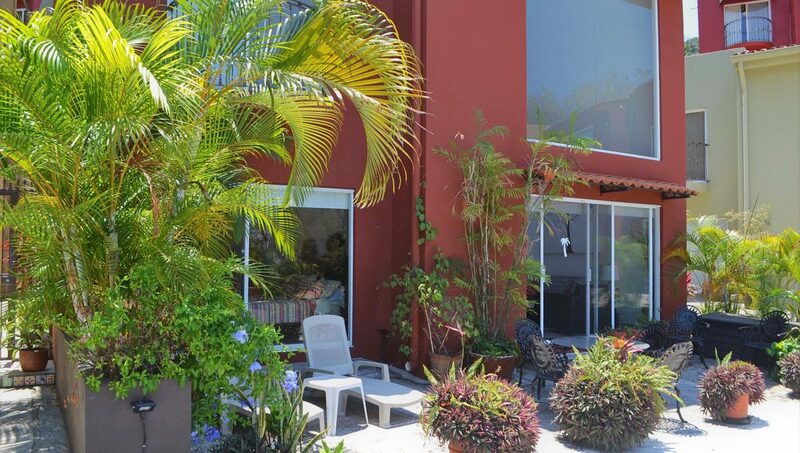 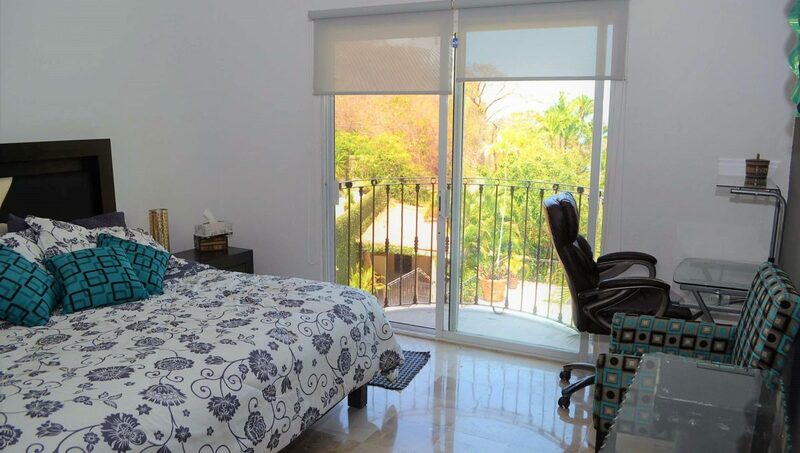 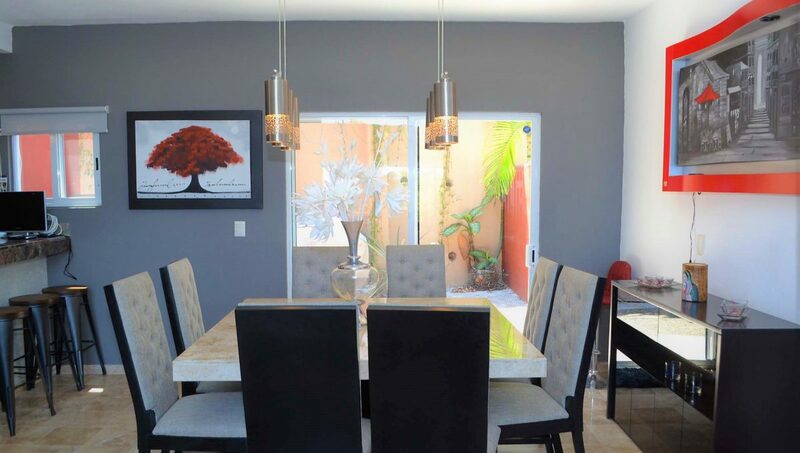 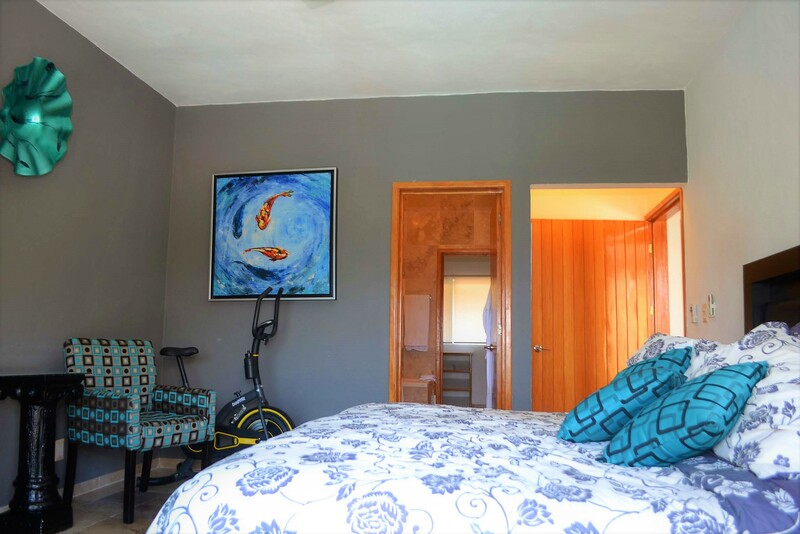 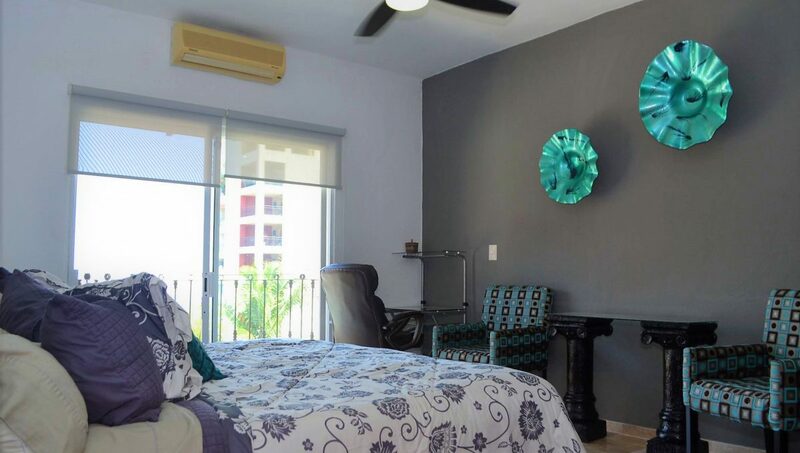 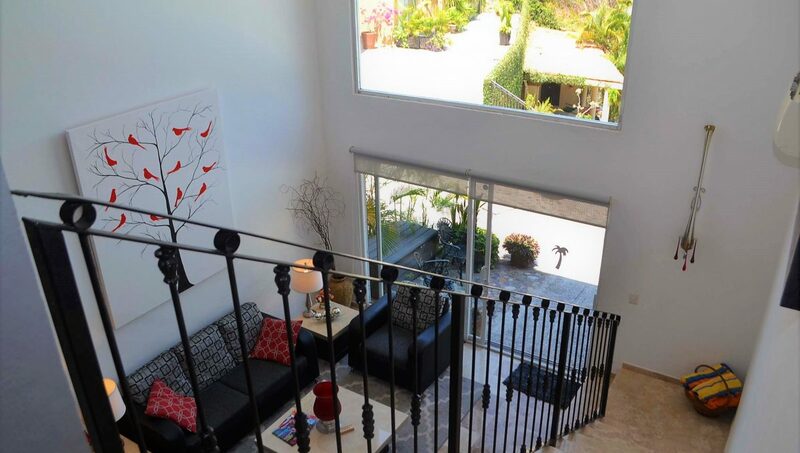 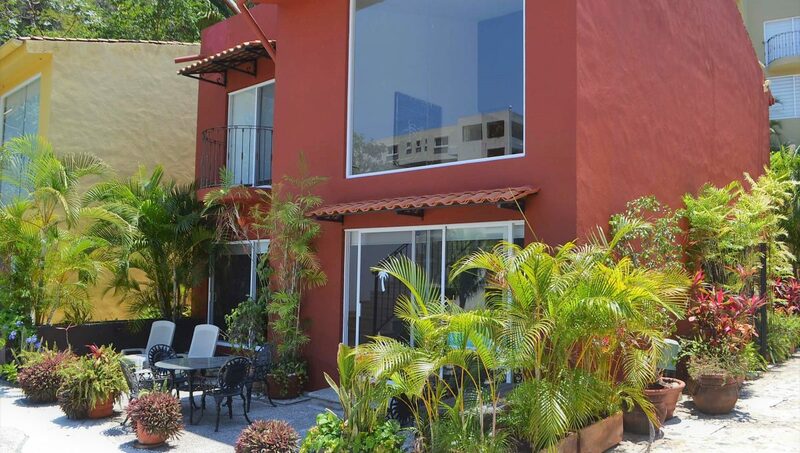 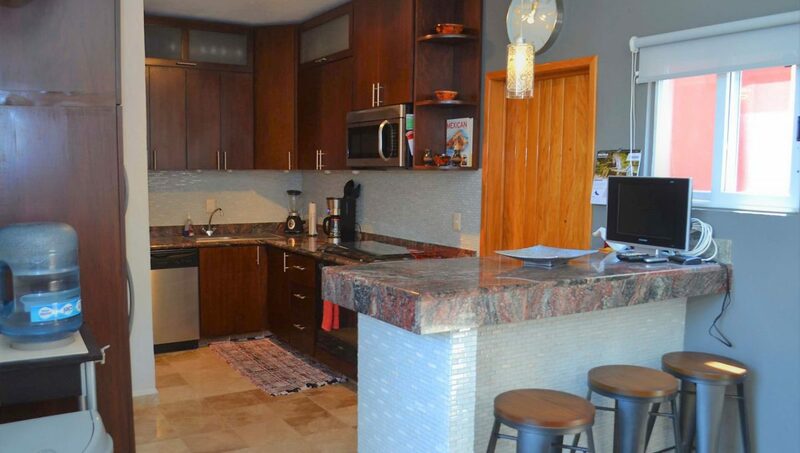 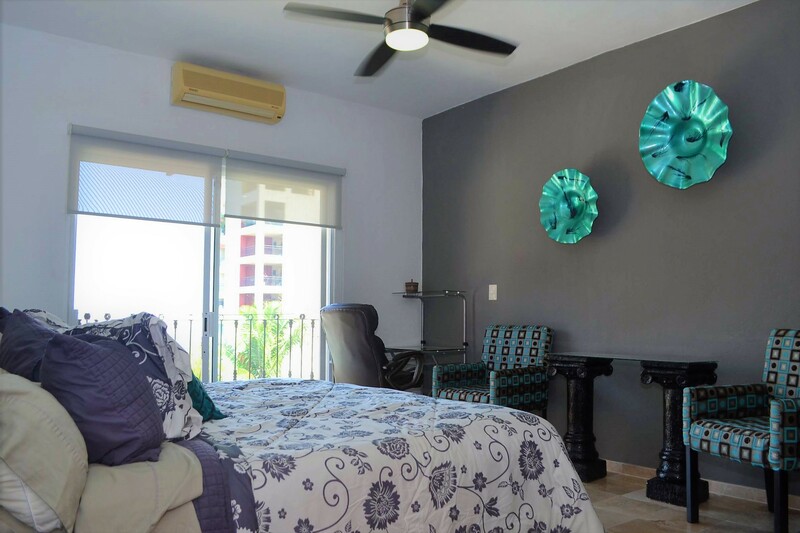 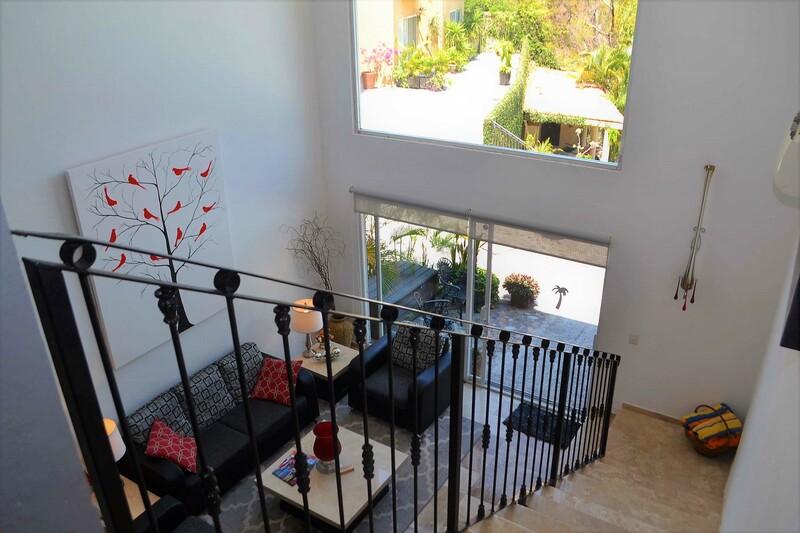 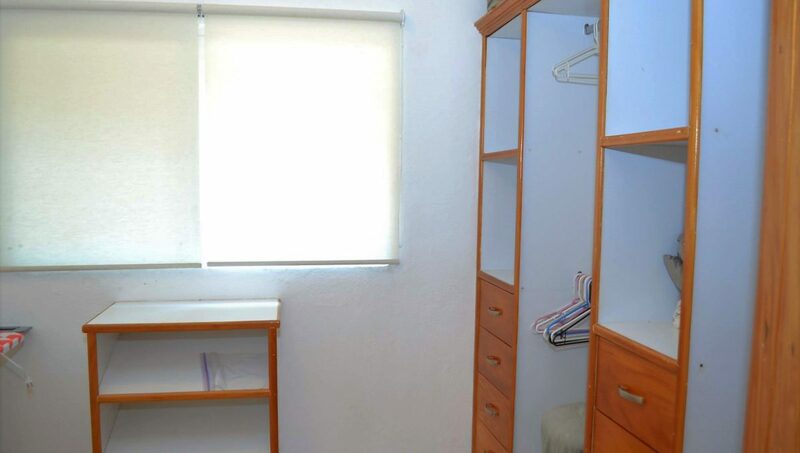 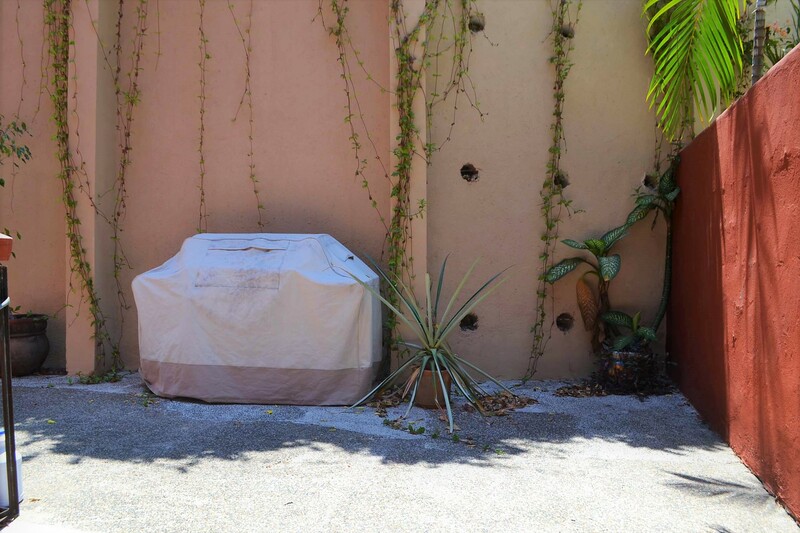 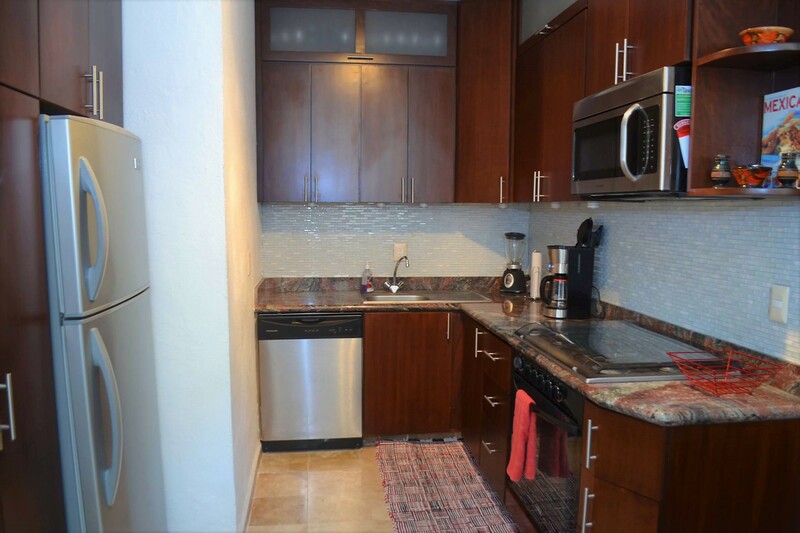 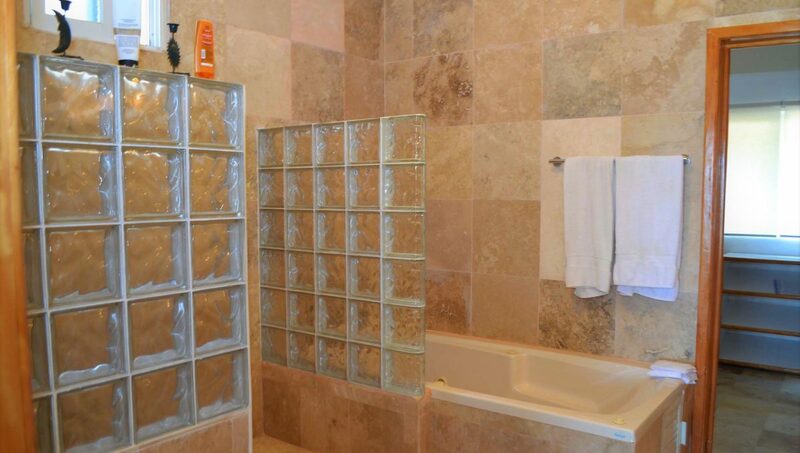 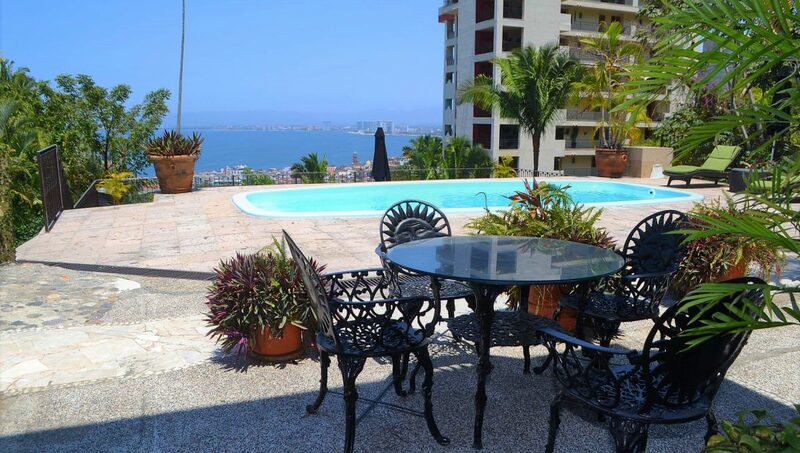 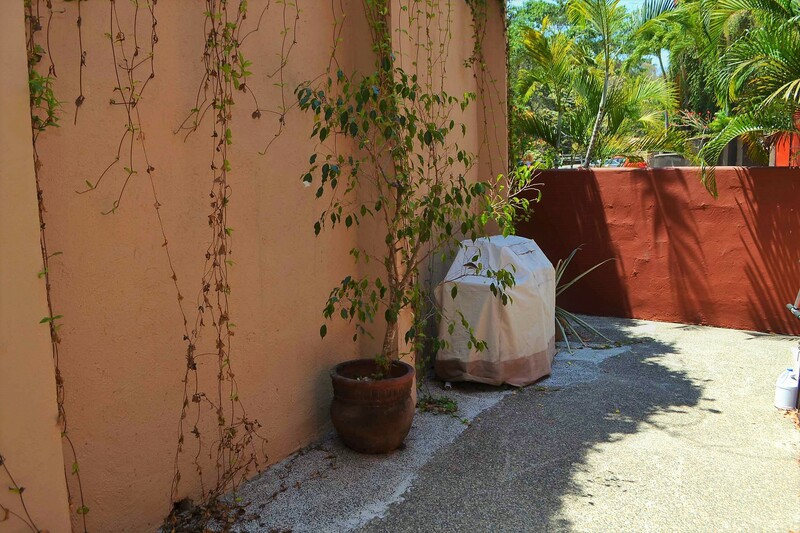 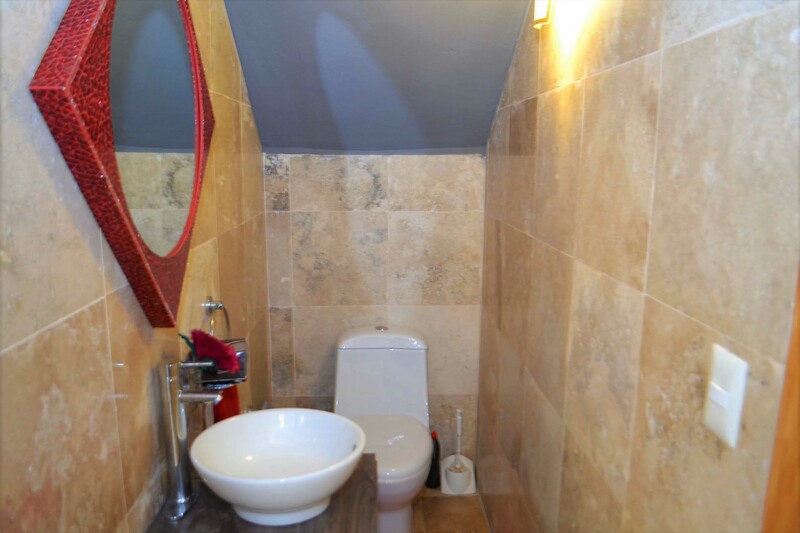 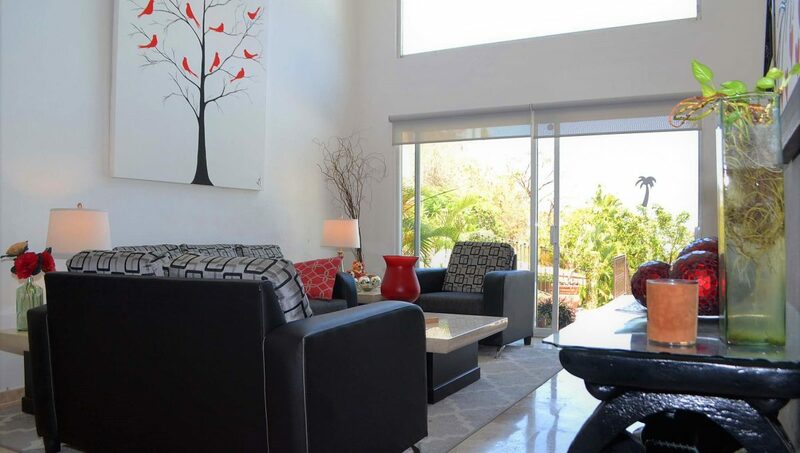 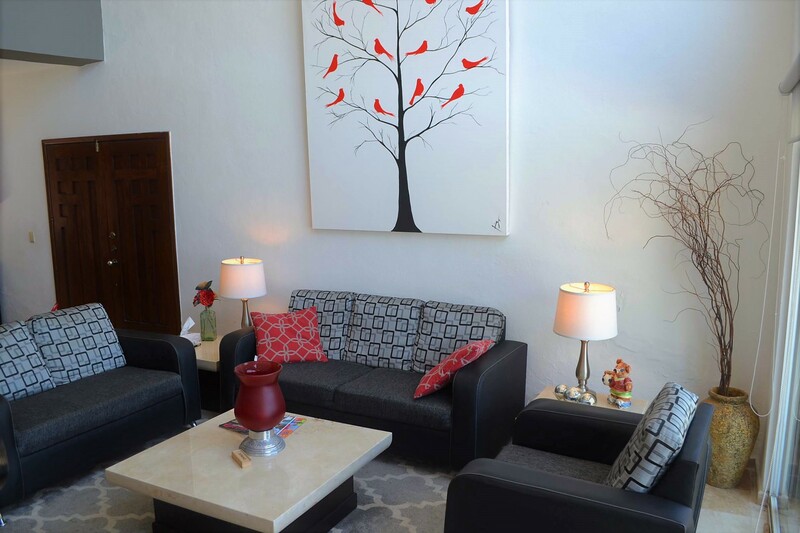 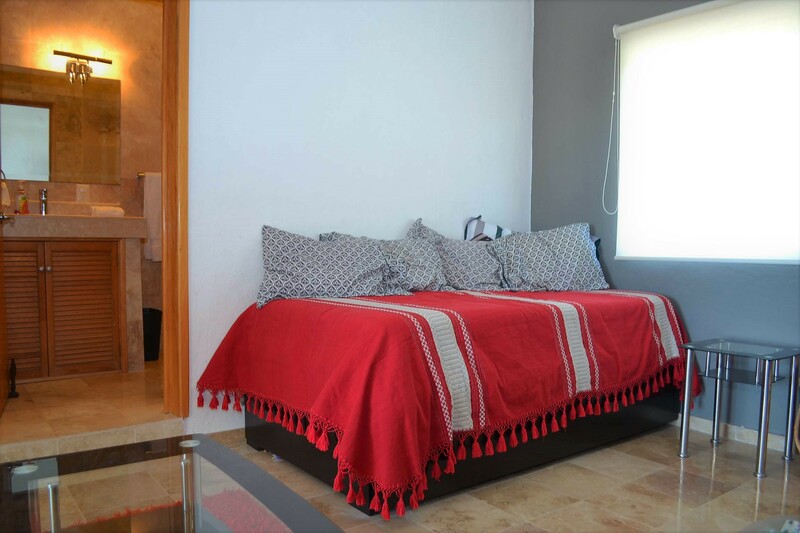 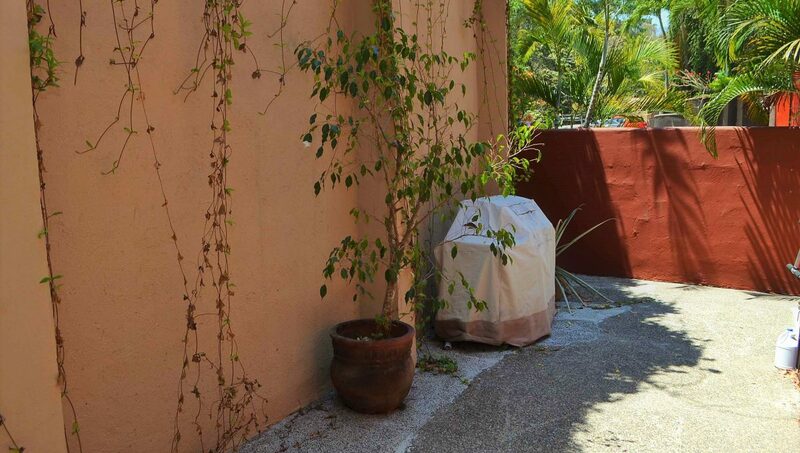 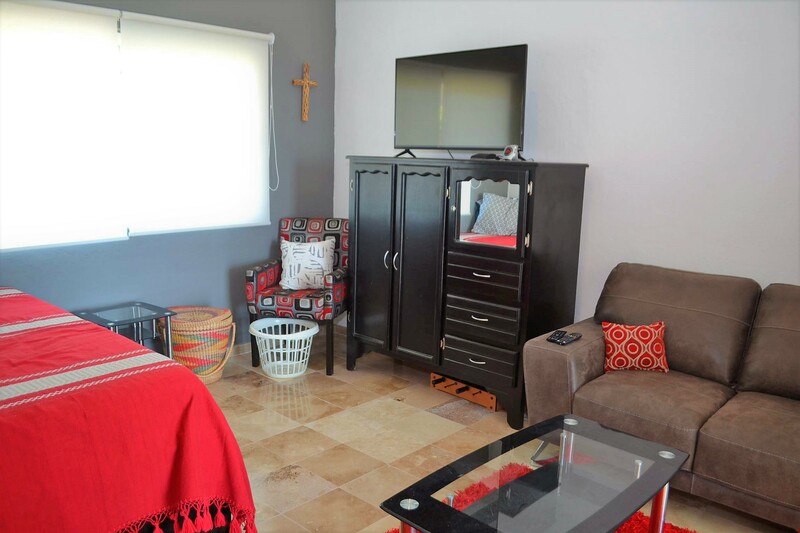 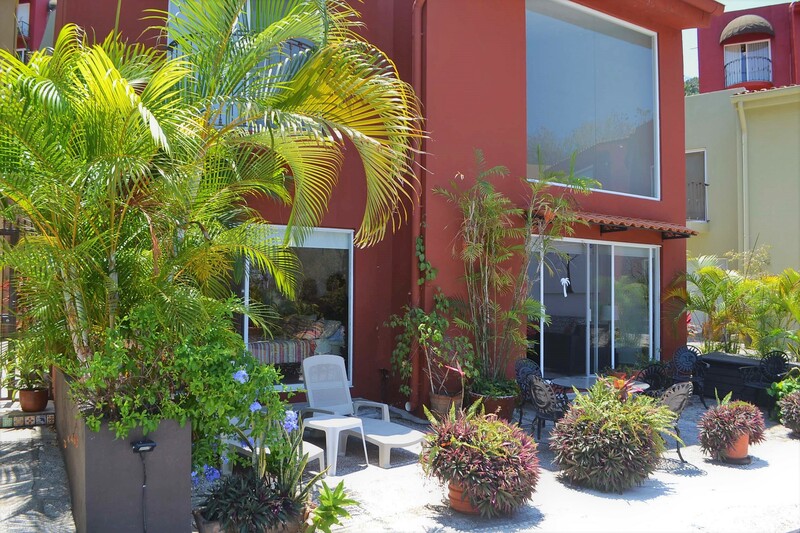 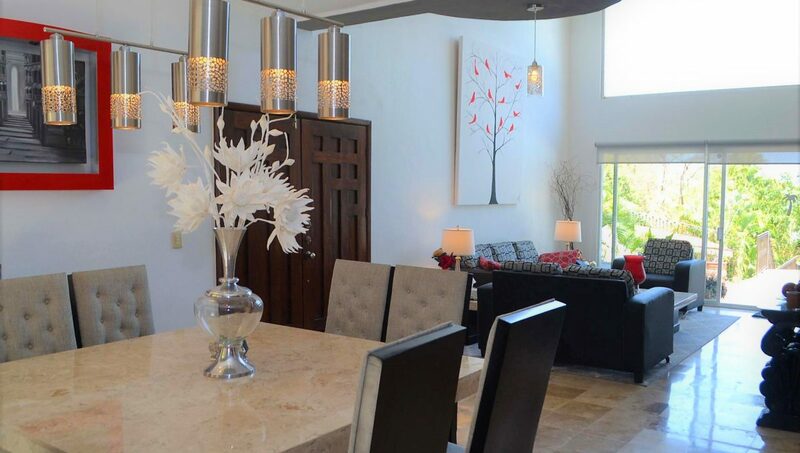 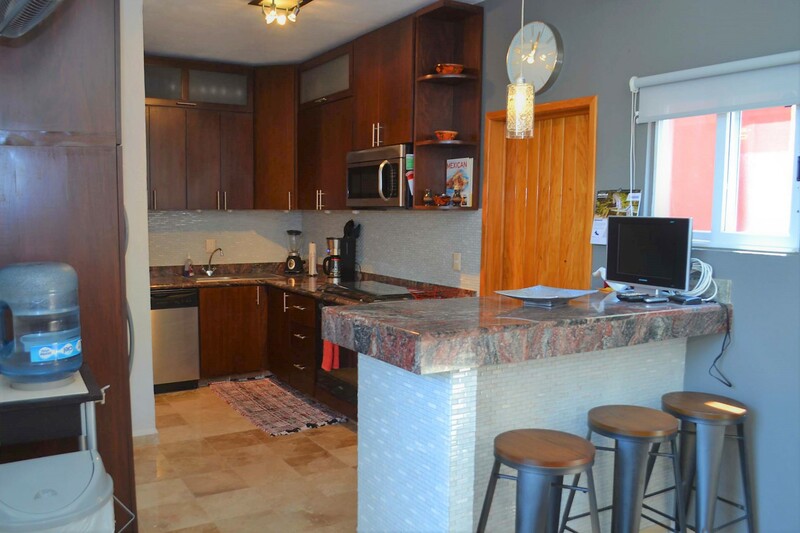 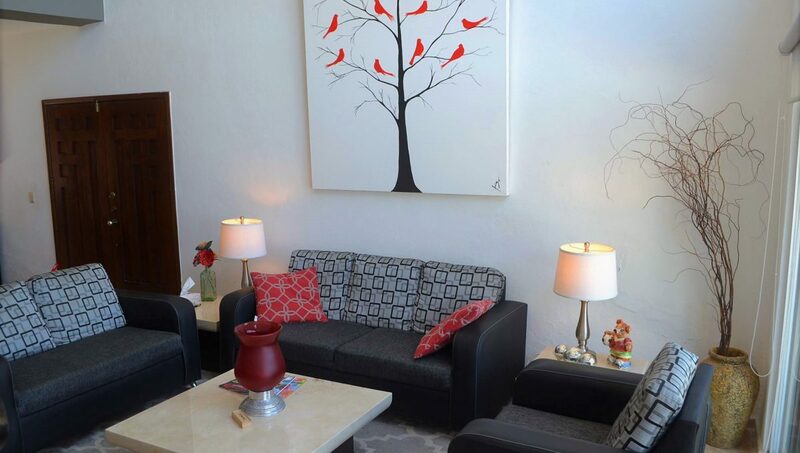 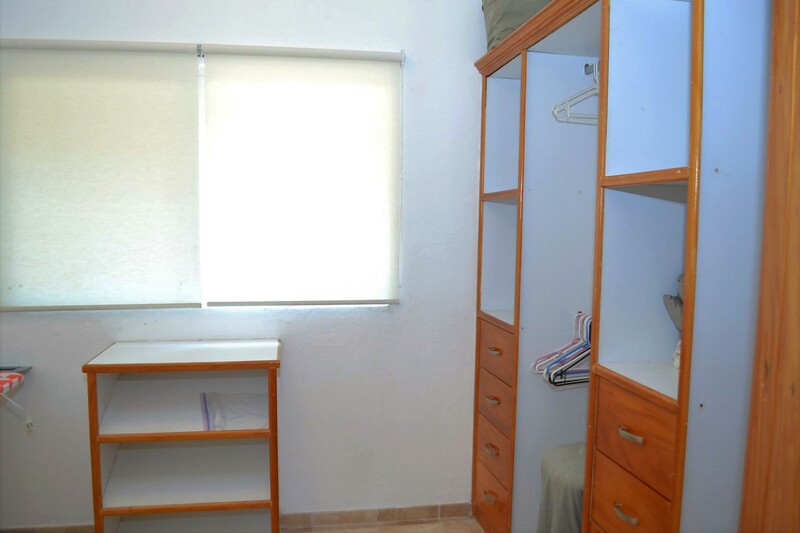 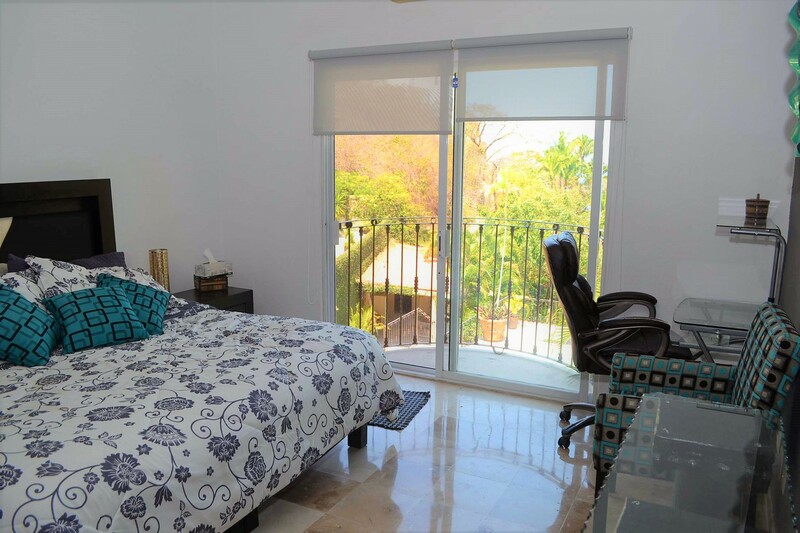 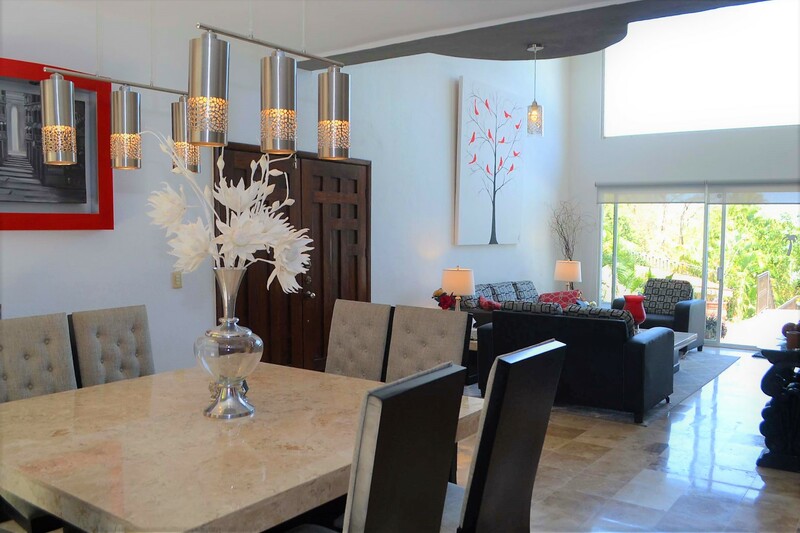 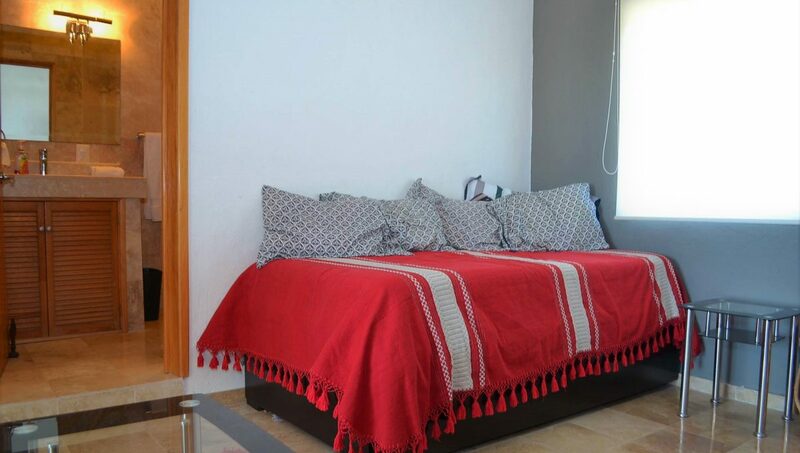 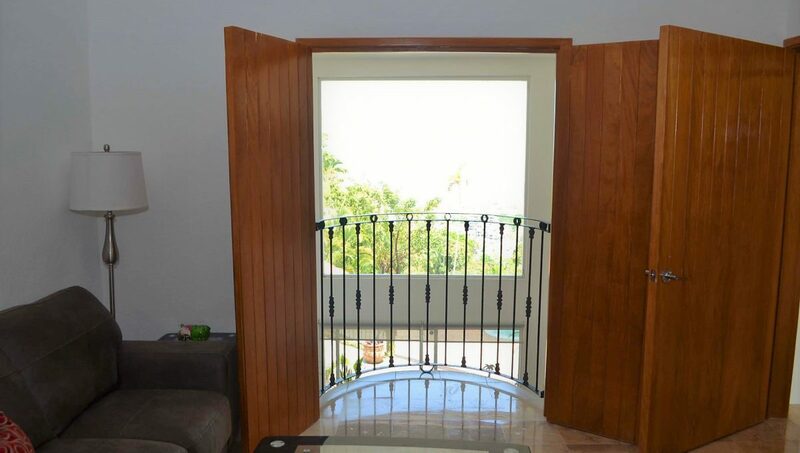 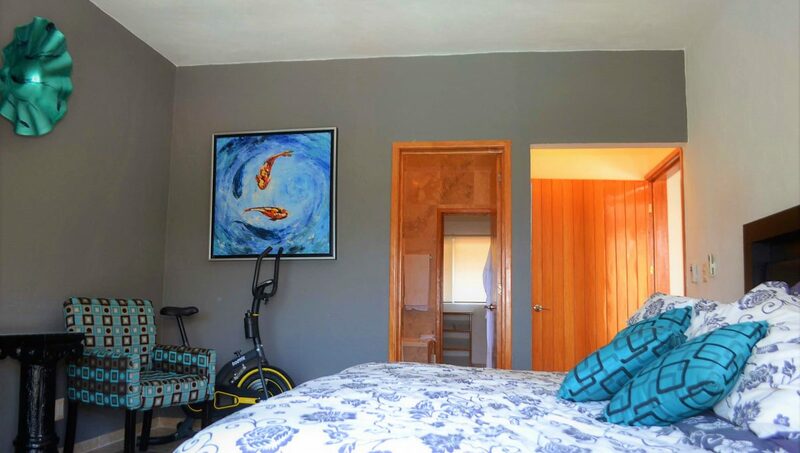 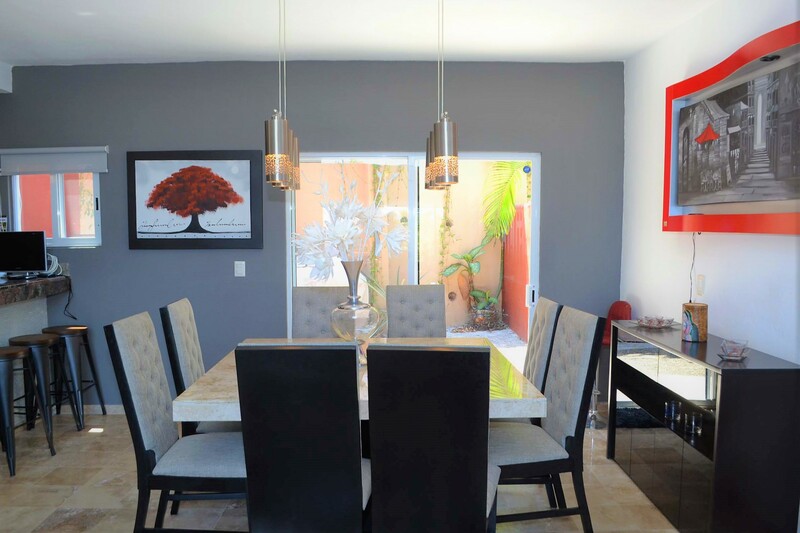 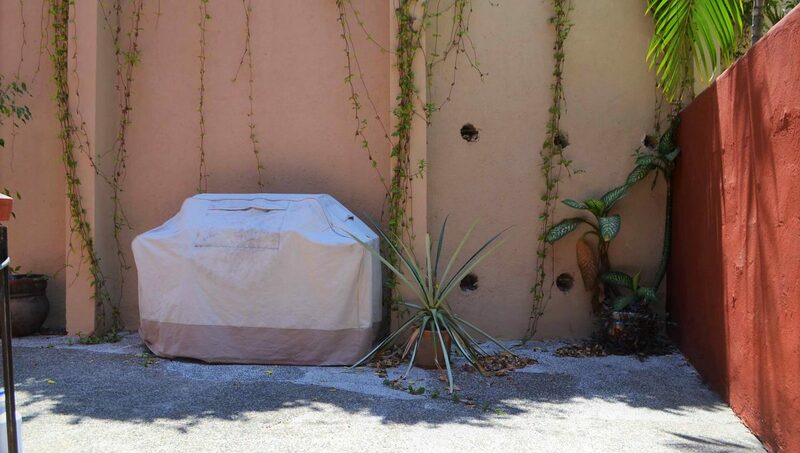 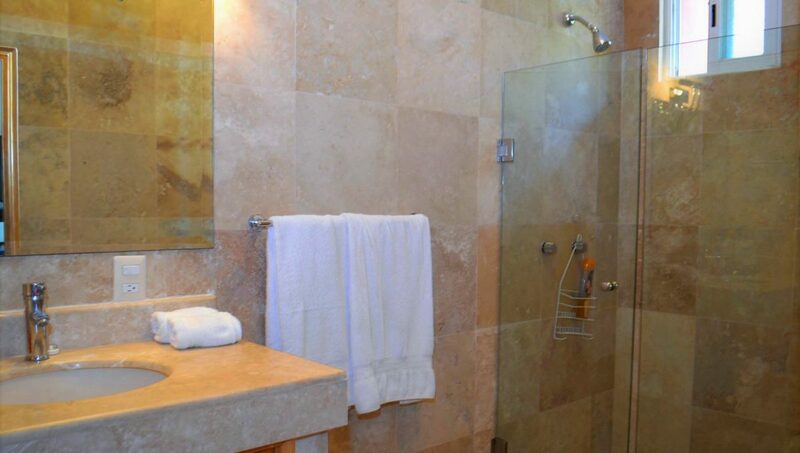 This home is in the low density gated development of Las Moradas ideal for those looking for peace and quiet far enough from the noise of traffic and crowds yet just a few minutes away all the action Old Town and the Romantic Zone have to offer. 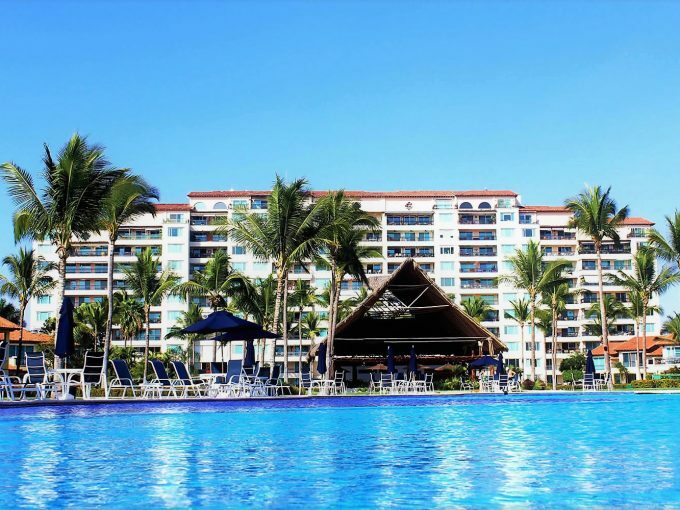 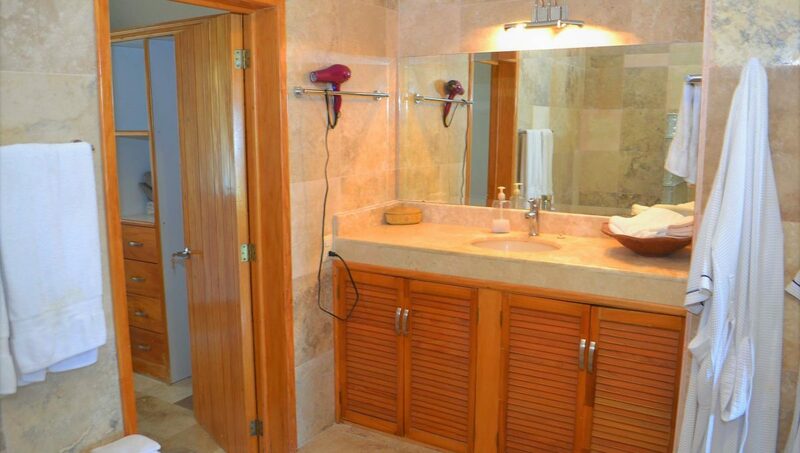 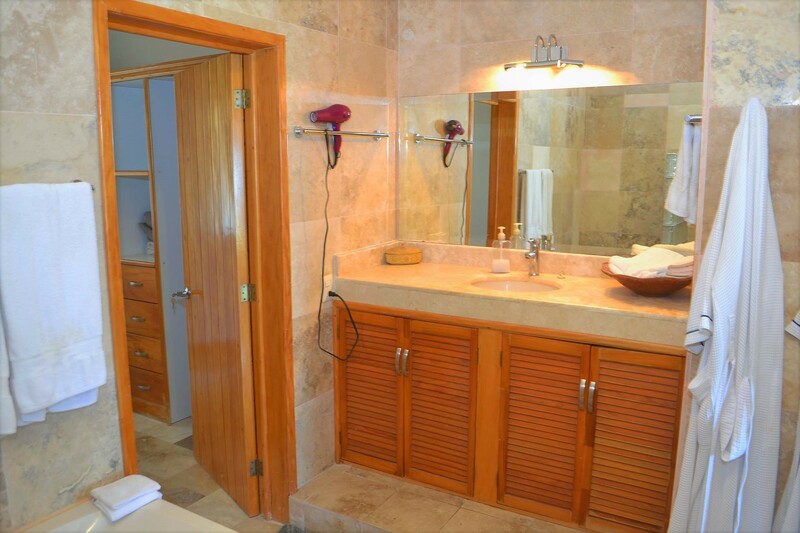 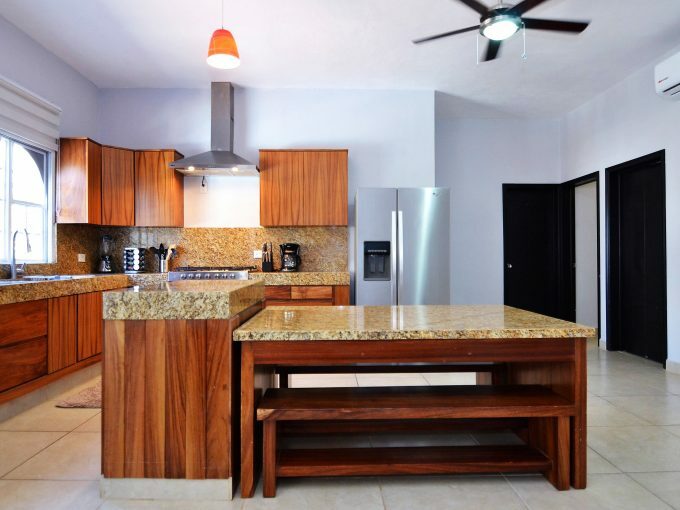 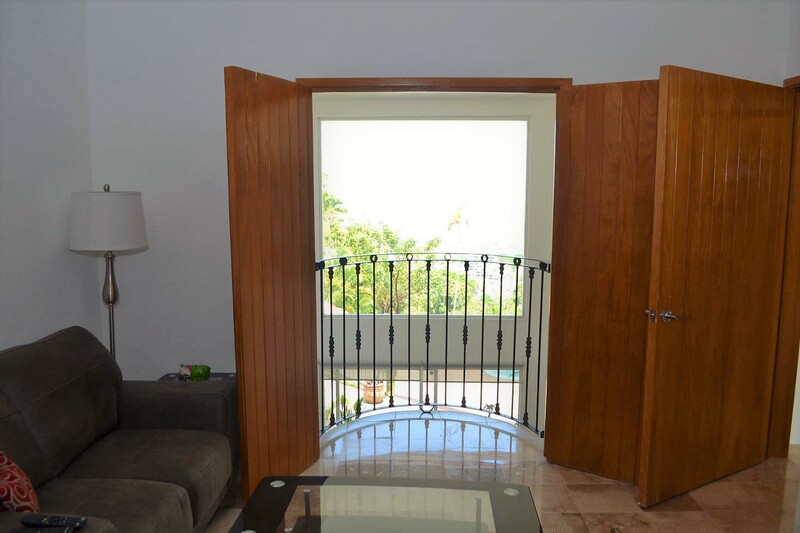 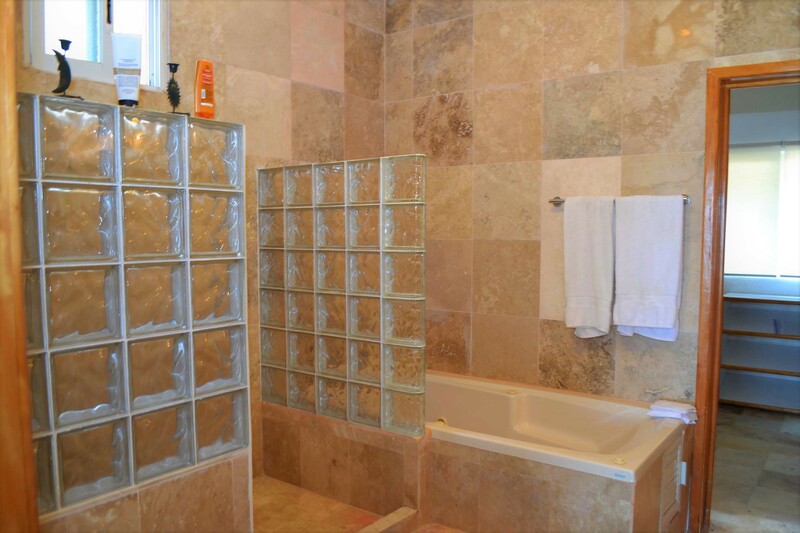 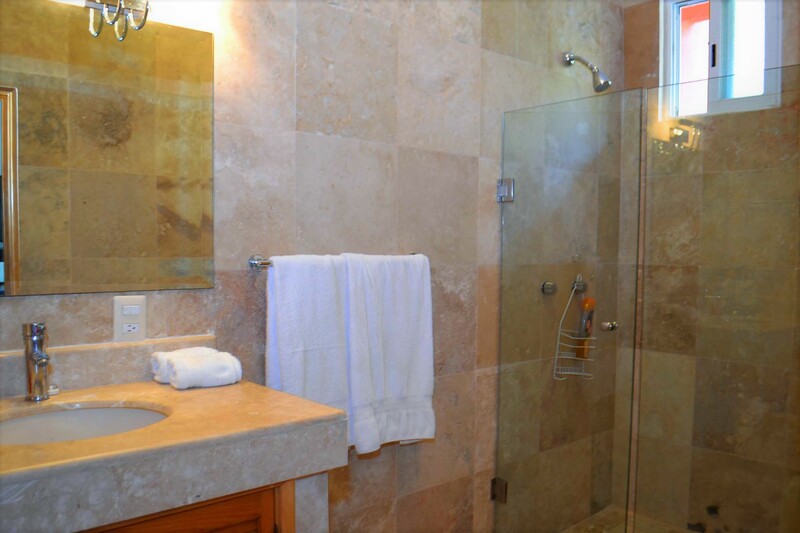 The home boasts mini split AC units throughout and ceiling fans in the bedrooms, marble floors, granite countertops, 3 bedrooms all ocean view and with en-suite bathroom, one of these bedrooms is located on the first floor with easy access to the front patio and pool area. 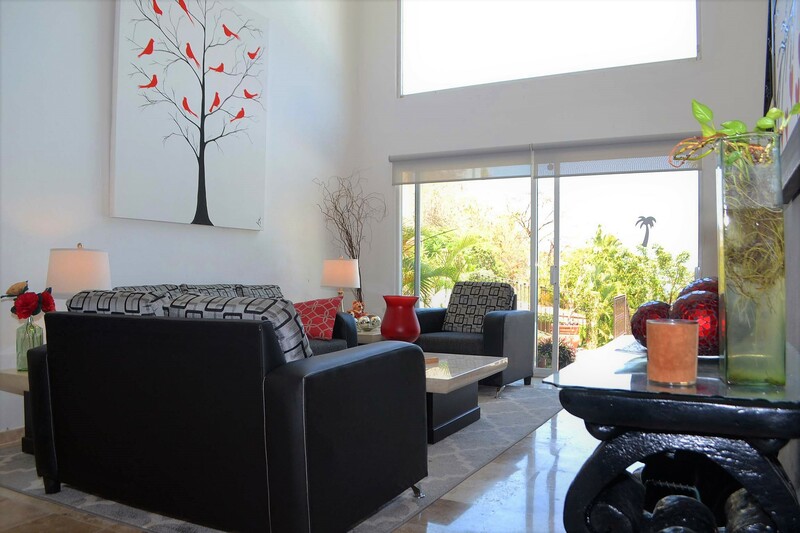 The living room has a double height ceiling offering lots of natural light with lovely views of the bay and surrounding nature. 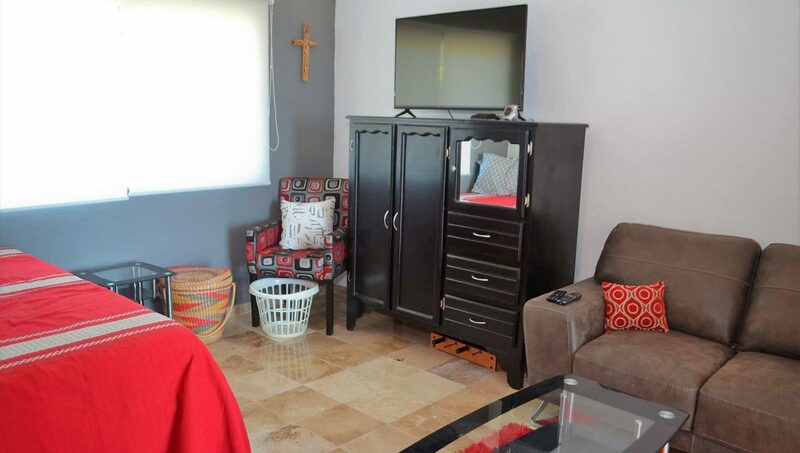 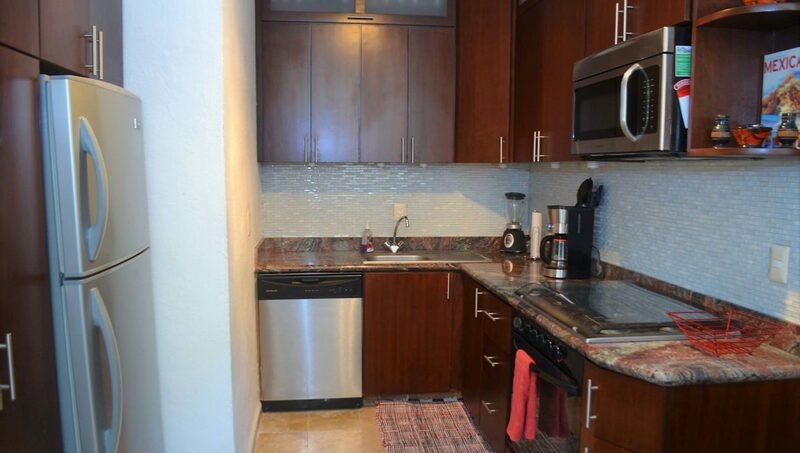 The house has a small private back patio with grill and laundry room with washer and dryer. 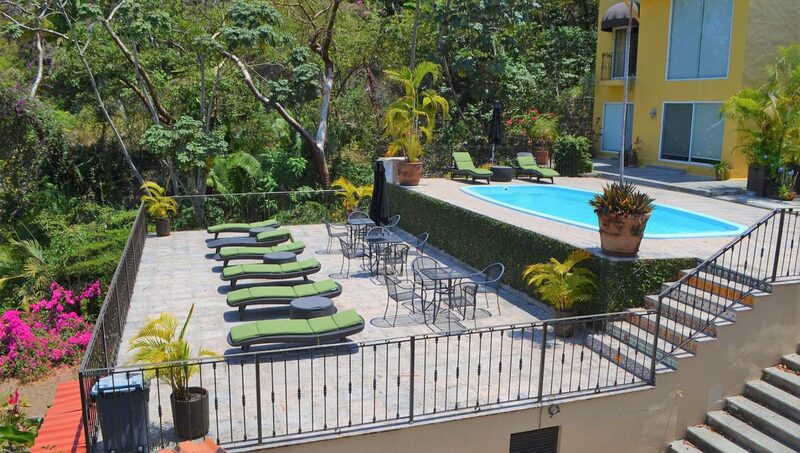 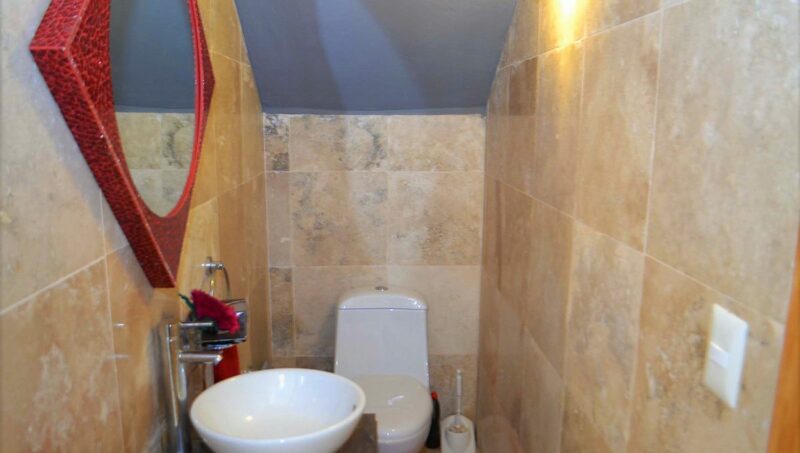 Spacious sunbathing area and common pool.